Is Al-anon for drug abuse or just alcohol abuse? Is Al-anon for drug abuse too? My 16 year old needs help as well as my family. I live in Centennial CO 80122. Her drug use has really hurt her and everyone around her. Comments for Is Al-anon for drug abuse or just alcohol abuse? Al-anon supports families struggling with any type of addiction. Sorry for the delayed response, but yes Al-anon supports all families who are struggling with any type of addiction. Addiction is a disease of the brain and it often does greatly affect the entire family. There is an Al-anon meeting this Sunday at noon at the Lutheran Church of the Holy Spirit, 6400 S University Blvd. You may want to try this meeting and find a few more to try until you find meetings where you feel welcome and comfortable. People often go to two or three meetings a week and get something different out of each meeting. Good luck and I hope you find some healing and peace for your family from the hurt of addiction. My group doesn't allow mention of any addiction other than alcohol. We are a small group in a rural area. At least half of us are affected by drug use as well as alcohol. The older members are adamant that mention of drug use is against the rules. Do you know what the rule is? I love my group, but would feel more honest if I could say drug abuse rather than addiction. Technically is just for alcohol. 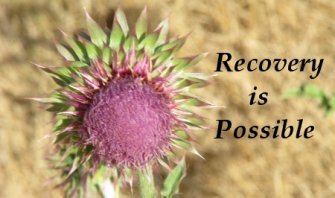 It is true that Al-anon is designed to address alcohol addiction, but many, many meetings allow other drugs to be discussed as well. Have you considered starting your own meeting where other drugs are discussed? That's what many people do so that both needs can be served.